Parametric motion models are commonly used in image sequence analysis for different tasks. A robust estimation framework is usually required to reliably compute the motion model over the estimation support in the presence of outliers, while the choice of the right motion model is also important to properly perform the task. However, dealing with model selection within a robust estimation setting remains an open question. We define two original propositions for robust motion-model selection. The first one is an extension of the Takeuchi information criterion. The second one is a new paradigm built from the Fisher statistic. We also derive an interpretation of the latter as a robust Mallows’ \(C_P\) criterion. Both robust motion-model selection criteria are straightforward to compute. 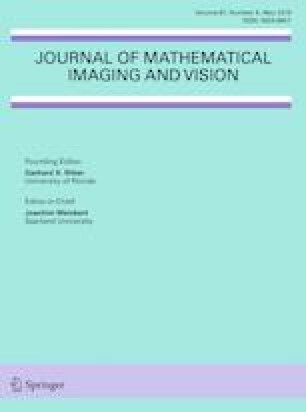 We have conducted a comparative objective evaluation on computer-generated image sequences with ground truth, along with experiments on real videos, for the parametric estimation of the 2D dominant motion in an image due to the camera motion. They demonstrate the interest and the efficiency of the proposed robust model-selection methods. This work was supported in part by Conacyt grant for Bertha Mayela Toledo Acosta’s thesis. The authors thank Fabien Spindler for the video acquisitions with the robotic setup.